In the nineteenth and early twentieth centuries—unlike the present— Iceland was one of the poorest countries in the world. The harshness of life in Iceland at that time beggars belief and is powerfully rendered in Halldor Laxness’ famous Icelandic novel, IndependentPeople. What the Bear Said, does this in spades, consisting of fourteen short stories explicitly modelled on the storytelling and Icelandic folktales he grew up hearing around his parents’kitchen table (“Preface”). In the title story, Gusti hears a hungering bear speak to him—it’s “like ink being dropped into water…spreading and dissipating.” He feeds the bear and in return his daughter is saved in a blizzard by “a large brown arm” that “reached from the den and pulled her down.” “Ingrid of the Lake” is saved from drowning by a giant lake sturgeon. In return, she saves it from capture, then disappears. Over subsequent years two sturgeon are seen “sunning themselves in the shallows.” The protagonist of “Halldor Vitlaus,” Halldor Witless, thoughtlessly shoots a wolf for no reason and is afterwards haunted by wolves until he realizes that when “you do something wrong, it follows you around,” and walks out intoa blizzard to meet the ghost of his victim. Spurned and jealous suitors send the ghost of a starving eighteenth century outlaw totorment Pall and his wife, Sigurbjorg. The ghost follows them to New Iceland, where they have pity on him, give him food and a pallet to sleep on, and finally add on a room for him to their house (“Loftur”). Kristin—the younger, less favoured sister—shows hospitality to strangers on a bitterly cold winter night and is rewarded with a gift of beautiful clothes: an “embroidered dress, a fur cloak with velvet lining, and fur-lined boots.” Her greedy mother, selfishly trying to replicate her daughter’s success, is paralyzed for her miserliness (“Gypsy Clothes”). A good woman endures hard and lonely treks to Winnipeg for medicine and supplies. Instead of succumbing to promises by the “devil’s handyman,” she rejectshis offers and in turn tricks him instead (“Quarantine”). Although the Icelanders are Lutheran and read the Bible, they also make offerings and pray to trolls (“Sigga’s Prayer”), and their ethical mettle is continually tested by devils and huldufolk. Their interaction with these beings, and with bears, sturgeon, and wolves, suggests both an intimate connection with and an ongoing negotiation of their place in the natural world where they struggle so hard to survive. Although Valgardson’s book has some of the apparatus of a scholarly collection —preface, acknowledgements, glossary—what he offers here, to be clear, are not translations or even retellings of Icelandic folktales, but instead newstories that deploy themes and tropes of those tales. Just as they thus straddle the genres ofshort-story and folktale, so the stories themselves sometimes begin in Iceland and end in NewIceland (“Sigga’s Prayer,” “Loftur,” “Sidewalk of Gold,” “Freyja”). And many of the tales make itclear that poverty, hunger, cold, and disease afflicted Icelanders as much in the new as in theold Iceland—though in Manitoba no one was reduced to eating “softened fish bones” (“Whatthe Bear Said”)! What is also clear—and remarkable—is that among the struggling farmers and fishermen who immigrated, and even in such grim circumstances, there were poets and singers(“What the Bear Said,” “Loftur,” “The Poet from Arnes,” “The New World”). Alberta’s Stephan G. Stephansson, one of the greatest poets in Icelandic, was also one of these, and Valgardson himself is perhaps their cultural and spiritual descendant. JOHN JOHANSEN, who is a professor of English at the Augustana Campus of the University of Alberta in Camrose, where he teaches courses in medieval literature and on the English language. University? What was that? My father was a fisherman and, in the off season, he had a barber shop. One of the guys helped me register. I entered a world of professors, lectures, time tables, libraries, research. Entered is probably too strong a word. I tumbled, stumbled, fell, into a world run by the clock, not the seasons. It never occurred to me that I was taking philosophy, political science, English, economics, French, so that I could get a job. There already were jobs. I could go commercial fishing. Or I could go to Red River College and take a trade. Be a carpenter like my grandfather. Or I could get a job on the railway like my other grandfather. Working class to the core, that was us. Graduating from high school was an accomplishment. Many working class kids left after grade ten. Got jobs driving trucks, on construction, on the highway, in maintenance. The ones with parents already in the trades or who understood the importance of a ticket that would allow entrance into a union—plumbers, carpenters, electricians—got an apprenticeship. I went to university because I wanted an education. I wanted to know, to understand, to think. I wanted to take courses in logic, the theory of the small business, the way Locke and Rousseau and Hobbes thought. I wanted to be able to speak and write and organize. My education was a family thing. My parents were only able to help a little. My grandparents provided room and board. I had my summer job. It was enough. I was lucky. Tuition was 300.00 a year. Books probably came to about 100.00. Bus fare was, if I remember correctly, 10 tickets for a dollar. My grandmother sent me off each day with a sandwich and a piece of fruit or a cut up vegetable. Professors were poorly paid. So poorly paid that it was better financially to be a public school teacher. Then the government got involved. Someone once said there is nothing more terrifying than a politician turning up at your door and saying, “I’ve come to help you.” It looked good, at first. Professors got paid better. The government wasn’t interested in educating the public. They were interested in being able to demonstrate that they were doing something to help people get a job. Billboards appeared saying things like “Go to college and get a job.” To the government, university wasn’t about education, it was about being a trade school. It was about helping them get re-elected. Their logic, of course, was absurd. When I graduated, if I got hired, it wasn’t going to be because I had skills like bookkeeping or driving a semi-trailer. I got hired because I’d shown that I could think, that I had an education that allowed me to read and understand, to paraphrase, to condense, to report, to explain, to organize and had an area of specialized knowledge. Yes, graduates did get jobs but it was, certainly in those days, partly because they were educated but also because the educated usually came from families in the middle class, upper middle class, even the upper class (and, yes, Canada has all those classes), families who had connections, who knew the right people, who had already trained their children in social niceties and behaviors. A degree was a ticket but to cash it in, daddy often picked up the telephone and called a friend. No wonder that today there are articles about people being angry because the promise of go to university and get a job has been shown to be a fraud. Today, I read an article on a site called Mish’s Global Economic Trend Analysis that 37.5% of Graduates Work in Jobs Requiring No Degree. Graduates and their families are also angry about the cost of that education. I paid 300 dollars tuition for the year. Today, that doesn’t even pay for one half course. There are some colleges and universities where tuition is close to 50,000 dollars a year in the United States. I’d be angry, too, if I’d paid that much money a year in tuition plus other costs for three years and had been told that I was investing that money in a job that was going to pay mega bucks. Especially if when I graduated, I had mega debt and was working as a barista. In Canada, we don’t have all the private universities that exist in the United States. That may be why that on average, undergraduate students in Ontario who paid the highest fees in Canada paid, on average, $7,180.00. However undergrads in dentistry paid $16,910.00. That’s a lot of moola. How long does it take to save $7,180.00, never mind $16,910.00. At least the dentists assume that they are going to make good money, after, of course, they pay off their debts, buy a practice or set up a practice with all its attendant expenses. Of course, there are other fees the university collects. Then there’s room and board, travel, books, and who knows what else. A student can end up owing as much money as I paid for my first house. Part of the problem is that education has always been about prestige. The social ranking of universities worldwide is brutal. Everybody knows where everybody else got their degree and there is a class structure that is unforgiving. Go ahead, just tell someone you graduated from some local college and that your degree is as good as one from Yale, Harvard, Oxford. You may be right. You may be as well educated. It won’t do any good. You’re living at the wrong address in the wrong neighbourhood. People will pay huge amounts of money for a prestigious address. University administrators are smart people. They know on which side of their bread is buttered. The government has said go to university and get a job. The universities have put money into programs with saleable skills and then reinforced that with Co-operative Education programs. Even our Creative Writing program at the University of Victoria had a Co-op option. You want to be a poet, fine, but go out on work terms, become an editor, learn to write government reports, business reports, brochures, PR, whatever, so when you graduate, you won’t be working as a barista or selling bread in a bakery. Some went the Co-op route. Others chose not to. The ones who went the Co-op route were a help at budget time. We were able to say to the government overseers, see, we’re a trade school, too. If people think that a university degree is like papers for an electrician or, if they think it should be, god help them. They should be getting an apprenticeship. Or they should be taking dentistry, medical, or pharmacy. There has been a shortage in those areas. Good thing. Those are degrees that are worthless unless there is a job on graduation. That’s the problem with highly focused training. I often recommended to my students that they get both a university degree and their papers in a trade. As a democracy, we desperately need an educated populace and educated shouldn’t only apply to the middle and upper classes. We need to vote. We need to understand complex issues. We need to be able to see through lies and manipulation. We need to be educated. Being trained won’t help us manage our democracy. If 37.5% of graduates are working in jobs that don’t require a degree so what? Most degree requirements for jobs are artificial. Over a lifetime, people nowadays change jobs many times. A while ago, I read about a surgeon who quit medicine to become a high school teacher. High school teachers quit to become real estate agents. So what? I’m not sorry that people in jobs that don’t require a degree are educated. 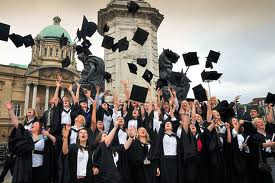 If you or your kids are thinking of going to university because you think it is going to guarantee you or them a job that pays so much money that the cost, no matter how high it is, doesn’t matter, then give your head a shake. I know an engineer, top notch, has worked for the most prestigious government and private organizations. He’s been unemployed for over three years. India is churning out engineers. Tens of thousands of engineers. They work cheap. So much for the value of all those practical courses. Personally, I think universities shouldn’t try to be trade schools. They should educate people. Most jobs require a very narrow set of skills that are endlessly repeated. Let employers do the training. When I was reading and commenting on Wakeful Nights, Vidar Hreinsson’s biography of Stephan G. Stephanson, I was puzzled by the importance that the Icelandic North American and Icelandic communities put onto poetry. Today, with a population of 33,000,000 in Canada, books of poetry are published in issues of 200 copies or 500 copies. Even these few copies seldom are put onto book store shelves and, usually, only because some staff member or the book store owner, is a poet or keen on poetry. How many books of poems, dear reader, have you purchased in the past twelve months? Twenty? Ten? One? Zero? I expect the answer for the vast majority of people is zero. Does this mean that the quality of poetry has fallen so drastically that it isn’t worth reading? Is it that the illiterate writers can’t find an audience among the illiterate readers? That is quite possible. However, there are still fine writers writing poetry in Canada and, occasionally, having it published. Why then so small an audience? Amazingly, in Iceland, with no formal school system, with people living on isolated farms, literacy during the 19th C. was quite high. The practice of reading aloud in the evening as people worked at knitting, spinning, or repairing small equipment, meant everyone was familiar with religious texts, the sagas and translated literature. However, today, reading in the baðstofa exists no more. It has been replaced by computer games, television shows, radio, movies, constant communication on Facebook, Twitter, Skype. Rhymed poetry, a device for remembering long and complicated histories, isn’t needed anymore. It’s all there on the web. If you want to know about Christian IX, look him up on the web. The family crowded around the reader has disappeared. The family crowded around the radio has disappeared. The family eating their TV dinners in front of the TV has disappeared. The house I recently purchased has a TV outlet in every room except the bathrooms. Watching shows has changed from a communal, participatory event to one of isolation. So, it’s not hard to understand that when a new book of poems is published, no matter how good, it’s hard to find five hundred people who are interested. This change started a long time ago. We are just on the tail end of it. “Chivalry came to Norway during Hakon’s long reign, 1217 to 1263. He had clerics translate for him the stories of King Arthur and his Round Table”. And yet, in Iceland, poetry remained powerful. It was still used for entertainment, news and politics. It survived the printing press, was, in some ways, enhanced by it. But even in the early 1900s poetry still had a place of honour. We know that because of the high regard Stephan G was held in Iceland. We know that because of the large number of books of poetry published in many places, including places you’d not expect a printing pressto be churning out literature, places such as Gimli andRiverton, Mantioba, small poor fishing villages. 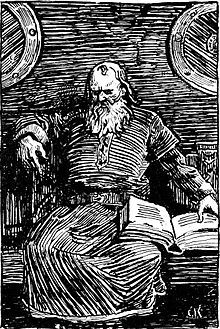 “Gylfaginning” (“The Tricking of Gylfi”) outlines the whole history of the Viking gods, from the creation of the world in fire and ice to is destruction.” However, it is locked away in Icelandic. Even more problematic, it is locked away in highly complicated verse forms and traditions that make it difficult, if not impossible, in some places, to understand. When I first went to Iceland, Finnbogi Gudmundsson was my host. He was highly educated, knew his history and literature, and was politely appalled at my not knowing anything of kennings. I wasn’t up on “otter of the ocean”. I’d do better now. Poetry was, all through time in Iceland, highly political, used to praise and attack, to make one’s case, to insult. It was frequently highly personal. People even had insulting contests in poetry. That means that Stephan G, writing from Markerville, Alberta, in Iceland, was right in a tradition that went back to Viking times. 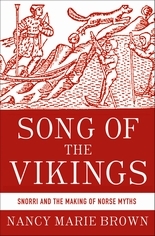 Song of the Vikings is helping me to understand some of this, I, who live in a society where poetry is ignored, published only when it is subsidized, supported by competitions and prizes by people who know little about poetry’s history or importance. It has become, like amma’s spinning wheel, something to point out to people as a part of our Icelandic heritage.The spinning wheel goes unused and the books go unread. There is no need, anymore, to know how to spin wool. There is no longer, anymore, any need in Canada to know how to read Icelandic. With the loss of the language and its tradition, there’s been little, if any transfer of tradition to the Icelandic population in Canada. Even though there are still some writers producing poetry, it cannot compete for people’s time against hockey or football or soap opera or cartoons or a movie on the TV. Poetry has always been demanding, requiring not just the ability to read but the intelligence and knowledge required to understand. It’s a shame that we have become a society where poets are no longer read and honored, where language is reduced to a few characters on a hand held device. Only those of us with an Icelandic background will care about this chapter on the history of poetry within our miniscule culture but for those of us who do care, Nancy Marie Brown has done a good job of helping us understand who we have been and why we have changed. Laxness warned you. Did you read Independent People? Did you make an effort to understand it? Did you realize that unless you are one of the 1%, you are Bjartur of Summerhouses. You don’t think you are? Really? Denial and vanity won’t keep you from being Bjartur. Bjartur worked all his life to be independent. That’s in the title, right? Independent People. Owe no money to anyone. Never trust a money lender. I remember my grandfather saying the same thing. Both grandfathers, actually. They never believed that debt equaled wealth. Bling wasn’t their goal in life. Yes, I know, Laxness was first a Catholic and then a Commie. He was looking for something, anything that would make more sense than the system in which he grew up. They didn’t. He threw them off. The way one tries on coats at the clothing store. That didn’t keep him from seeing the crazy way the Capitalist system worked. Boom and bust. Power to the bankers. Success judged by how much you can spend. He should be alive now, in the age of Bling. When I bought my last house, I didn’t have much money for furniture and drapes, the kind of stuff with which you fill up a house. Stuff to sit on, eat off, eat with, sleep on. I saw an ad in the newspaper saying that some people were selling all their household goods. Second hand, I thought, maybe cheap enough for me to be able to buy a few things. I drove out there. Mamma mia! Or whatever they say in Icelandic. Mega house. New. This couple had built it, furnished it. Nothing but the best. Twelve months had passed. They didn’t like their stuff anymore. It was piled up on the property and in the three car garage. When you’re competing for the blingiest of the bling, you’ve got to have the latest. You don’t want your blingy relatives and friends to see your couch, your mixmaster, your latte maker and sneer. I fought with the other peasants for whatever I could get. When you’re a peasant, you use your elbows and knees to claim and protect stuff that came from stores that wouldn’t even let you in the door. What made Bjartur and you spring into my thoughts today was Garth Turner’s blog, http://www.greaterfool.ca/. This post is called geezernomics. Since I’m now a geezer, it caught my attention. He’s got advice on OAS and CPP, the sort of things that are important to geezers. Bjartur, of course, never had OAS or CPP. What he had was a sheep ranch at a place called Summerhouses. The reason he was called Bjartur of Summerhouses is that there were a lot of Bjarturs and when you mentioned his name people needed to know which one you were talking about. In this case, it was the Bjartur who started to build a house with cheap money when the market for sheep products was good and had it foreclosed on when he couldn’t pay his loan. However, there are people who feel they, unlike Bjartur, can never have this happen. After all, real estate always goes up. Except in Vancouver there is already a property being offered 40 % below assessment. 40%. 30% below assessment is common. Don’t roll your eyes. This is coming to you. There’s an ad on Craiglist by a couple who bought something they shouldn’t have. In the ad they say you, yes, that’s you, can rent their place for $2500.00 a month and they are going to live in the basement along with the washer and dryer. Their bling has blung. People think they may have bought another house before selling (houses always sell really fast for more than you paid for them, right) and they can’t sell house number one. Imagine having two mortgages and living in the basement along with the washer and dryer. Maybe they can take in washing. I know that the most brothers and sisters of Bjartur are the young and the indebted but I also know of any number of geezers who bought or built bling, houses that said in spite of the fact that they’re part of the Viagra crowd, they’re going to have a pile more kids. I mean, why would a couple in their sixties build a place with four bedrooms, five bathrooms, unless they’re going to have more kids? Maybe they figure in tough times (have you been watching the stock market these last few days? ), their kids and grandkids can move in. Or maybe they’re going to provide room and board? Garth Turner says get liquid, sell your house, rent until whatever is happening quits happening. Only a short time ago, I could have done that. In my neighbourhood, when a For Sale sign went up, two days later a sticker went on saying Sold. Not no more, no more. DOM (Days on the Market) has gone from hours to months, many months. A beautiful house in our neighbourhood has been on sale for at least three months. Today, as I walked by it said “New Price.” Betcha, betcha, the price hasn’t gone up. Life’s funny. When I read Independent People it never occurred to me that I wasn’t any smarter than Bjartur of Summerhouses. Cripes, I thought, couldn’t he see what was coming? Nope. And neither could I and neither could you. We keep making the same mistakes over and over again. Sorry Halldor, I ignored your good advice. You may have been a Catholic and a Commie but you got it right. 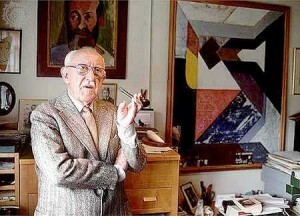 Viðar Hreinsson. Wakeful Nights. Benson Ranch, Inc., 2012, 607 pages. In the 1870’s Icelanders began to emigrate. In Iceland times were difficult. Iceland was the poorest country in Europe and Europe was so poor that massive numbers of Europeans were on the move. They were immigrating to places such as Brazil but the greatest number had as their destination, Amerika. Amerika was not a specific geographic place but a direction, a place of rumour, myths, and letters. 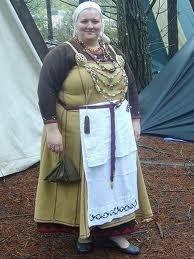 In Iceland, society was still medieval. Although the Icelanders like to point out to everyone that they had the first parliament in history, they conveniently leave out that this annual representation of the chieftains where real power was distributed and enforced lasted a short time. Internal conflict led to Iceland being ruled by the Norwegian king and, when Norway was taken over by Denmark, Iceland was, too. For hundreds of years Iceland was a vassal state, its resources and people sold off to commercial interests. Although some English travelers in the 1800s made the mistake of declaring that because on Icelandic farms everyone slept in one room, ate in one room, worked in the fields or fished from the same boat, that everyone was equal. Nothing could have been further from the truth. What they did not take into account was who had the key to the food storehouse, who decided what and how much each person got to eat, what work they did, how many hours they worked, whether they would be employed or, if they were a tenant farmer (share cropper), whether their lease would be renewed. Only one percent of Iceland’s land is usable (not arable, for that assumes that it can be cultivated) and that was for pasture. Wealth was in sheep and milk cows and, for the larger farmers who had land on the sea shore, boats. Stephan G Stephansson grew up in that society. He was “born in 1853, the population…roughly 60,000)”. It’s capital city was a village. There were no cities. People lived in little isolated worlds on farms in houses made of turf and rock and some wood from Denmark or driftwood. Wood was so precious that some houses used whale bones for rafters. There were no crops except hay for no grain would ripen. Stephan’s family was too poor to send him for a formal academic education. In 1873, he came to North America with some people for whom he had been working. His life was different from many of the immigrants right from the beginning because they did not go to Nova Scotia or Kinmount, Ont., or to New Iceland in what was to become Manitoba. He went to Wisconsin and began life as a farmer. He moved a number of times, settling, finally, in Alberta in the Markerville area. His story is no different from many others except for one thing. In spite of his lack of formal education, he became a poet of great renown. He became known as the poet of the Rocky Mountains. His work was published in Canada, the United States and Iceland. However, he wrote in Icelandic and so, even though he took his material from daily life in North America, his audience was restricted to those who could read Icelandic. Today, as the Icelandic North American population continues to intermarry and disperse, there is the danger that Stephan G will be forgotten. That is why Viðar Hreinsson´s new book, Wakeful Nights, published by Benson Ranch Inc., is particularly important. Stephan G Stephansson was not just a poet, not just an excellent poet, but a man with a clear vision of what was right and wrong in society. He was the conscience of society. He wrote about social issues, spared no one´s vanity or self-importance. His unwavering beliefs about social justice and religious matters brought him accolades but also enemies. His opposition to WWI resulted in a Manitoba MLA who also was of Icelandic background, trying to have him charged with treason. The book begins with 65 pages of description of life in Iceland. I, personally, would have liked this section to be longer, more detailed, but that is because I’ve done a great deal of research into the 1800s in Iceland. For most readers this first part of the book provides a good historical perspective and solid base from which to understand the impetus for Stephan’s beliefs and actions. The journey west which follows is well described. It has enough detail to keep the reader focused on what the trip was like rather than on some romanticized version. The remainder of the book centres on the conflicts in which Stephan found himself embroiled. We are taken into the division of the community between Unitarianism and Lutheranism. Today, the remains of that battle can be seen in the capital of New Iceland, Gimli, Manitoba, with the Lutheran church on Third Avenue and the Unitarian church on Second Avenue and the gap between them like a vast crevasse on an Icelandic glacier. Translations of Stephan´s poems appear throughout the book. The author does his best to provide the reader with translations of Stephan’s poetry but given the intricate forms that simply won’t work in English, settles for prosy translations that give the reader the meaning of what is being said. Creating translations of Icelandic poetry that capture the quality of Stephan´s work seems like an insurmountable problem. It is a problem that has already and will continue to keep English speaking readers from appreciating the genius that is declared in Iceland for Stephan’s work. The book plays close attention to Stephan’s family life, the tragic death of one of his sons, the struggle to prosper at farming, his relationship with his wife and children. This helps to make him real, not a caricature of the embattled and battling poet. When he is honoured by being asked to visit Iceland and he tours the country to widespread adulation, Viðar describes Stephan as being worn and small, not the physical giant that some expected. The contrast between Stephan´s struggle to succeed as a farmer in difficult times and his success as a poet brings the reader close to the man whose search for truth in a world constrained by religious and secular dogmatism, makes him human. I have found nothing to criticize about Wakeful Nights. There are a few typos in the text but nothing to distract the reader. I’m only grateful that the book has been written and published. For me, it has revealed and explained many things about my own ethnic community that I have not understood. For many in the Icelandic North American community, the simple mention of the conflicts Stephan had with ministers, editors, members of the Winnipeg elite, will be enough for they will already know the background to the struggle. For readers outside the Icelandic North American culture, though, such references may hold no meaning, particularly those to do with the church. It would have been helpful to have had a glossary that explained each of those references but it would have made a large book even larger. One of the joys of Viðar’s writing is that it is easy to read. To have included more background detail in the text would have bogged down the story, taken away attention from the poet. Perhaps Wakeful Nights will inspire others to extract references and expound on them. It would be wonderful if Wakeful Nights would help to establish a permanent place in Canadian literature for Stephan’s poetry. At the very least, this biography has brought us closer to knowing a remarkable man whose work bridged three countries. I was born the year the war started. My mother told me once that she’d just come out of the hospital with me when the parade for the King and Queen was taking place in Winnipeg. She saved the newspaper from that day. She showed it to me. She said she’d stood at the side of the road, holding me, watching the parade. She was seventeen. My life has been inextricably woven through with WW2. 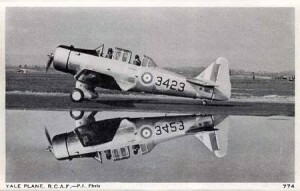 That’s because an airbase for training pilots was built two miles west of Gimli. That meant that my earliest childhood memories are of young men in air force uniforms. My parents were very young when they got married. A year after they married, they had a house. Other young people didn’t have houses. It meant that their house became a gathering point, a place to visit and my parents had an open door. Young men in uniform sat in our kitchen drinking coffee, sat in our living room playing cards, lay about our front porch in summer. They held me, carried me, bounced me on their knees. One of them, when I had colic, took off his jacket and shirt and let me sleep on his warm stomach. Young men like this training for war, preparing to place their lives at risk for all of us. All the talk was about war. About what was happening in Europe. Sometimes, about the young men who had been killed. I was still very small when I understood that being dead meant never coming back. As I grew older, I sometimes cried when I heard that one of the young men who had carried me around on his shoulders, chased me around the yard, tickled me, told me stories, wasn’t coming back. My father couldn’t join the armed forces. He had bleeding ulcers and nothing the doctor did would cure them. It would be many decades later, after antibiotics were discovered and a lot of research was done that there would be treatment. He lived on milk, cream of wheat and ice cream. Two of his brothers joined up. One in the airforce. One in the navy. Close friends were in the forces. We listened intently to the news, particularly to the theatres of war where our friends were fighting. One of those friends, Dave MacIntosh, see, I remember his name after all these decades, disappeared. We didn’t know if he was dead or a prisoner. I hated it when my friends were transferred away. Gone and maybe never coming back. It was like a great beast was eating them up. Sometimes, I cried. I don’t remember the end of the war, the announcement that it was finally over. What I do remember is listening to the radio in the living room, to long lists of the names of POWs. At last, we heard Dave MacIntosh’s name. He’d been a prisoner. He was still alive. When the war was over, the airport continued to operate. Pilots trained on Harvard trainers, yellow planes that were noisy as they flew overhead. We grew used to them. Air force people lived in the PMQs, some lived on the economy, that is, they rented in town. When we went into grade nine, air force kids were bused to town to go to school. Maybe the biggest impact of the air base were the romances between the airmen and the local girls and the romances among the high school students. The air force kids were exotic. They’d been many places, moved from city to city, town to town, province to province. Some had even been overseas. None of us had been anywhere. They brought us messages from the bigger world. We discovered that though the airbase had an impressive fence and a guard at the highway entrance, if we walked through the PMQs, we could go right onto the base and make use of the splendid gymnasium. We also went to Air Force Days. There, we got to see the planes up close, to watch weapons being fired, to look at displays, to hear military music, to see, for the first time, men jumping out of planes on parachutes. Just like in the black and white news clips from the war. We learned about death for the Harvard trainers crashed. One crashed right in town. My cousin Dilla took pictures of it for the local paper. Another went down as we watched, perpendicular, straight into the graveyard. The death in Europe had been far away but here it was immediate, happening sometimes right before our eyes. It never occurred to me that there was anything different about Gimli having the airbase. I took it for granted. I had no idea that I was living in a world that was larger than that in most small Manitoba towns. I took it for granted that people from many different parts of Canada then, later, from Europe, were neighbours, friends and, sometimes, turned into relatives by marriage. 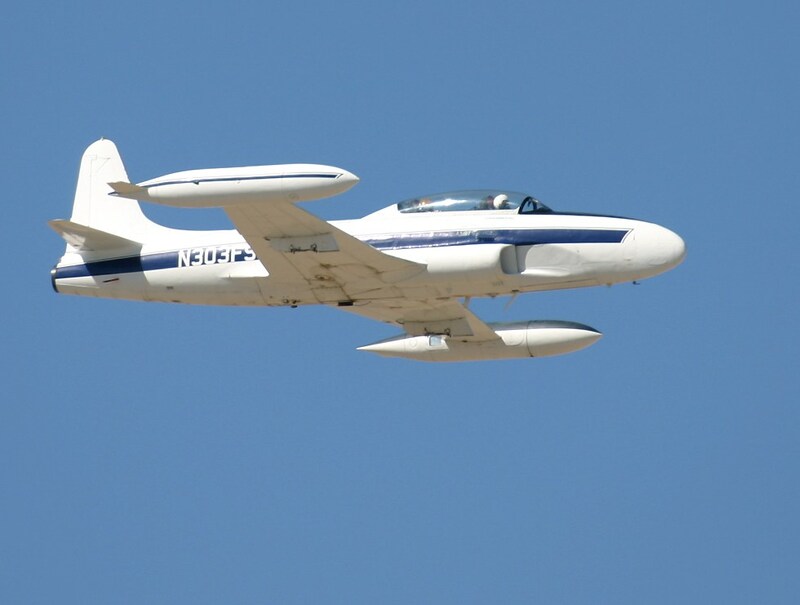 The Harvard trainers were replaced with T33s, and we learned when there were crashes, to share the distress of our classmates because, often, their father’s were jet pilot trainers. 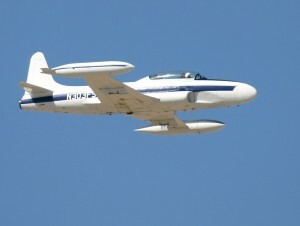 The T33s were known locally as flying coffins. When we were in high school, there’d been problems in some of the classes we were taking. A friend mentioned to me that we could take classes along with the air force men who were upgrading so they could get promotions. We signed up, our parents paid up, and we got some of the best teaching we’d ever had. Here was a different world, a world where studying and learning were connected directly to a useful outcome. There were no hijinks, no fooling around. Education was a serious business. That was a wage that was priceless. The wages of war? Some people, those in armaments production, or providing supplies of various kinds, made great wages, made fortunes. We were just a small town with seasonal commercial fishing, with summer cottagers but we earned something, more sophistication than we otherwise would have had, knowledge of far flung places. Sometimes even money. My grandmother rented out a house to an air force couple. In the summers when I set pins at the bowling alley, a lot of the customers were young single air force guys with nothing to do on a summer’s evening. I got paid by the game and took care of two alleys. Those were precious dollars that I stuffed in my pocket at the end of the night. I remember my air force friends from high school fondly. They added to my life in immeasurable ways, provided wages that could not and cannot be calculated in dollars and cents. I remember the young men in uniform preparing for war who in their spare time, came to visit. I remember having conversations with young airmen who were lonely for home and family. They enriched my life, made my world bigger, gave it a depth that it would not have otherwise had. 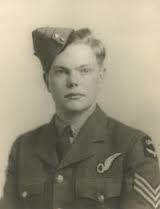 On Remembrance Day, I think of them, all those people who passed through, the few who returned to stay, the beloved air force uncle from Boston who joined the Canadian air force at eighteen because the USA wasn’t in the war yet. He came with his Boston accent, his brush cut, his smile and married my aunt. He took her travelling across the world, from one post to the other, but when he retired, they came back to Gimli and it was like they’d never been away. My mother’s father came to Canada from Ireland. In Winnipeg, he joined the militia. When war broke out, he volunteered. In 1915, he went into the trenches as a machine gunner and sniper. He survived some of WWI’s major battles but was gassed. After medical leave for being gassed, he was sent back into the trenches. During a battle, shrapnel ripped through his right hand. He was bandaged but infection set in so he was invalided out to England. There were no antibiotics in those days. Infection wards crammed with soldiers were common. At the end of the war, he was still sick with infection. He was shipped to Montreal and stayed in a hospital there until the infection was cured. He had risked everything for King and country. For the rest of his life he suffered from the damage done to his lungs. Back in Winnipeg, he spent a lifetime working for the Great Northern Railway. He couldn’t afford a car and rode his bicycle to work summer and winter. In the cold weather, he sometimes could not breathe and my grandmother told me, he crawled through the snow. I asked him once, when I was a child, had he killed anyone in the war. “Thousands,” he replied and would say no more. Machine gunners laid down enfilade and slaughtered German troops as they struggled through the mud of No Man’s Land. When the Canadians attacked, the Germans did the same. He and his companions seldom talked about the war. It was too disturbing. Once, he told me about a young replacement from Saskatchewan. A farm boy. Nervous, curious. He kept putting his head above the trench to see what was happening. He was told not to but did it anyway. A sniper shot him. He arrived in the morning and was dead by evening. My grandfather had no use for stupid comments from civilians. It wasn’t returned soldiers that made ignorant statements about the Germans. 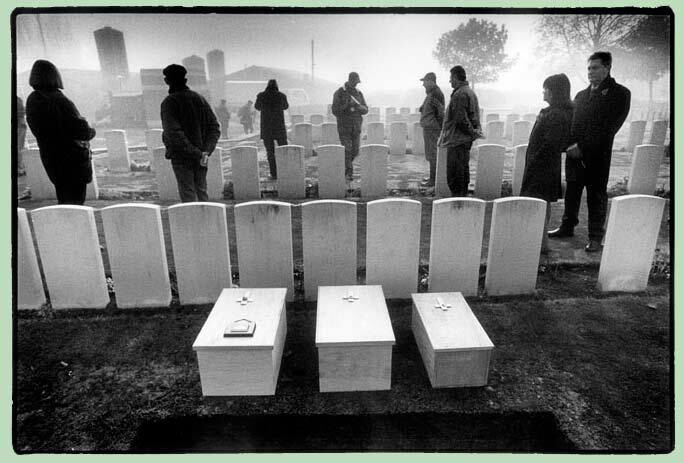 It was the civilians who had risked little or nothing, in many cases, civilians who had grown prosperous on the war. He had no patience for the stupidity of romanticizing the war. 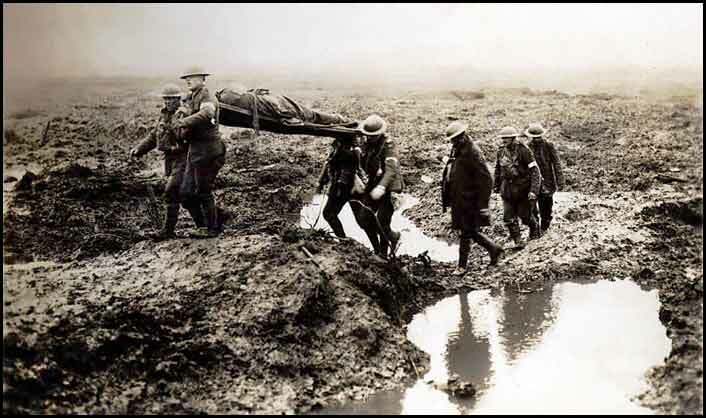 There was nothing romantic about trenches deep in water, trenches where the rats were so thick, feeding on the dead, that the soldiers used to entertain themselves by trying to bayonet them. One Christmas, the senior officers dined off fine china and crystal, had a real Christmas meal, while the soldiers ate tinned meat and strawberry jam. They were down to nine bullets per man. He remembered these details with bitterness. He’d met my grandmother when he was on leave in Ireland. He’d taken a fancy to her and wrote, asking her to come to Canada and marry him. She wrote back and said that her mother was dying of cancer and she was looking after her. However, once her mother died, she’d come to marry him. Finally, he couldn’t pay the mortgage. The bank foreclosed. When the foreclosure notice came, it was delivered by one of the soldiers he’d served with in France. If my grandfather had retreated during battle, one of the officers coming behind would have shot him. He would have been called a coward. He would have been condemned by politicians and civilians who risked nothing. Thousands upon thousands of men died in the trenches where he fought. Death came from every direction. Men were killed by the body parts of their friends who were blown up by exploding shells. The politicians and the senior army officers had no mercy, not just for the Germans, but for their own soldiers. No mercy. It didn’t matter how many men died in an attack, a thousand, ten thousand, a hundred thousand. It didn’t matter that they drowned in the mud and water. That they died coughing their lungs out after breathing mustard gas. They were expendable. It didn’t matter that they’d risked everything, their limbs, their lives, their sanity. When they got back to Canada, they didn’t matter. They were no longer an asset. They were a liability. They needed things like medical attention, jobs, things that cost the taxpayers money, and that could cost the politicians votes. I am proud of my grandfather. He was brave. I am proud of the other members of my family that served in the war. But Stephan G Stephansson was right. It was a slaughter house. Only someone incredibly stupid could think it wasn’t. He was also right about the war memorial he opposed. He said collect the money, give it to the soldiers who are returning. Help them deal with their personal cost in the war, their ruined bodies, their ruined minds. Statues are about glory. My grandfather didn’t think there was any glory in the mass slaughter in which he participated. What he would have appreciated was the bank saying, he’s a returned veteran. He risked everything. He nearly lost his life. He is handicapped by the injuries he received. We’ll do whatever is necessary to see that he gets to keep his house. Or, the government that was prepared to send its young men to their deaths, to step forward and help pay the mortgage. Or, the community, in an act of appreciation for the courage and sacrifice of its soldiers, to raise money and donate it to see that returned soldiers received as much as they had given. Statues, by their very existence, imply that there is glory in war. There is no glory. There is no glory in having your body torn apart by explosions. Your limbs blown off. There is no glory in being shot and lying in the mud, dying. There’s no glory in being burned to death by a flame thrower or in a tank. There’s no glory in drowning in the mud. Whisper into a young man’s ear, a young man drowning in the mud, this is glorious. I dare you. After WWI ended, there was a conflict in the Icelandic North American community. Some people wanted to raise money to build a memorial to the soldiers from the Iceland NA community. They were opposed by the poet, Stephan G Stephansson. 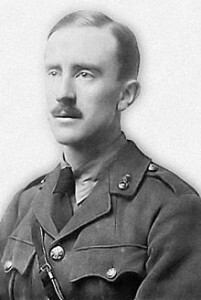 All through the war he had written poems opposed to the war. The argument had grown so bitter that a member of the Icelandic Manitoba community had wanted him charged with treason. Now, that conflict was resurrected with the argument over the building of a monument. Those proposing the monument wanted to honour the soldiers from their ethnic community. Stephansson had a different vision. It was an unfortunate conflict between people who had views about the role of the Icelandic community in North America. What made it even more difficult is that Iceland never had an army, never had a role to play in warfare. 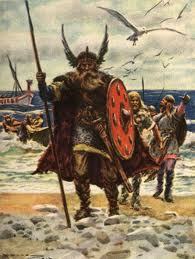 Armed conflict in their history went back to the vikings and that was in ancient times. There was no history and tradition to guide anyone. Both the ideas put forward were good, even necessary. Those who supported the idea of the memorial should have continued raising money and, when they had raised all they could, created a memorial for which they could pay. Those who felt that money collected should go to help soldiers returning from the war should have done that. The idea that there could only be one right way to acknowledge and honour our returning soldiers was wrong. Both the memorial sculpture and the immediate help for servicement who needed it would have been a powerful expression of our respect for those who died and those who returned. That monuments do help to preserve the memory of battles fought in past times is without doubt. However, history has shown that Stephan‘s concerns were valid. Today, 94 years and a number of wars later, the newspapers regularly feature stories about veterans being denied benefits. Every possible reason (excuse) is found to deny benefits. It is true in the United States. It is true in Canada. The CBC reports on Oct, 23, 2012, “Injured ex-soldiers often unfairly denied benefits, AG finds”. Or The Huffingtson Post, 9 Oct 2012, “Former members of the Canadian military who are struggling with mental health problems say they’re being denied benefits”. Or Sympatico CA.news, “Veterans denied funeral expenses by Canadian government program”. The maimed, the dead need to be remembered. We need to honour those who have sacrificed their health and their lives for us. However, when we build our statues, let them not be used to absolve us of our responsibility to our soldiers. My grandfather, Irish as he was, would have agreed with Stephan. He’d rather have had help with his mortgage, help with finding a decent job, help with improving his education and qualifications, help with making up for the five years lost from his life than a statue. Let us remember. Let us wear poppies in memory. Let us lay wreaths at our monuments. Let us tend and care for those monuments and teach each generation about the sacrifices of those who fought. But, never let us forget that our first duty is to those still living who have risked everything for us.